All required files can be found in the “MAC OS and Linux” folder of the downloaded zip file. 1. Copy samacsys.png to the “bin” folder under the EAGLE installation directory. 2. 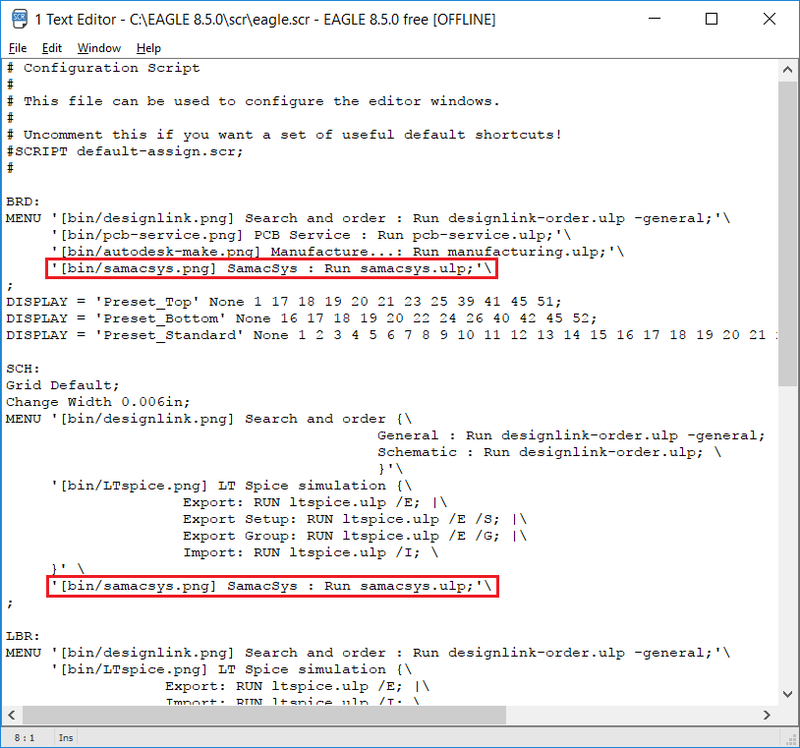 Copy json.inc to the “ulp” folder under the EAGLE installation directory. 3. Copy samacsys.ulp to the “ulp” folder under the EAGLE installation directory. 4. Select File->Open->Script… from the EAGLE Control Panel, and open “eagle.scr” from the “scr” folder. How to use our Plugin to search for and add parts to your EAGLE library. SamacSys have solved the decade-old problem of free access to high quality PCB library content, for every component and every Engineer. If you’d like to ask us any questions please feel free to get in touch – Click Here.